Determined to be the first company to take a 16-bit processor to market, Intel pushed the 8086 from design to shipment in about 18 months. “People today are shocked when I tell them the schedule,” recalled Jim McKevitt, one of the lead engineers. The design team worked many nights and weekends at a rented facility on Walsh Avenue in Santa Clara to push the project across the finish line. The chip made it to market on time in June 1978. 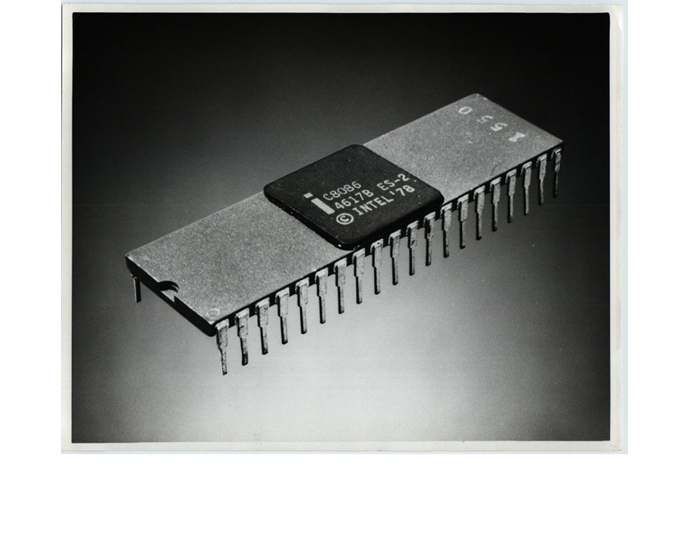 The 8086 was the first 16-bit processor and used a pioneering architecture that afforded new levels of performance and flexibility. Just as importantly, Intel approached the processor as part of a larger system — the 8086 came out with an unprecedented suite of supporting products and developmental tools to help people use it and was designed to be the first in a series of forward-compatible chips that would use the same architecture. The combination of hardware, software and support was the beginning of something new — but the market didn’t quite understand its potential yet. At the time, microprocessors were still a nascent industry. Buyers did not have fully formed notions of what they valued in a processor, and designers and marketers were trying to address those nebulous priorities as best they could. 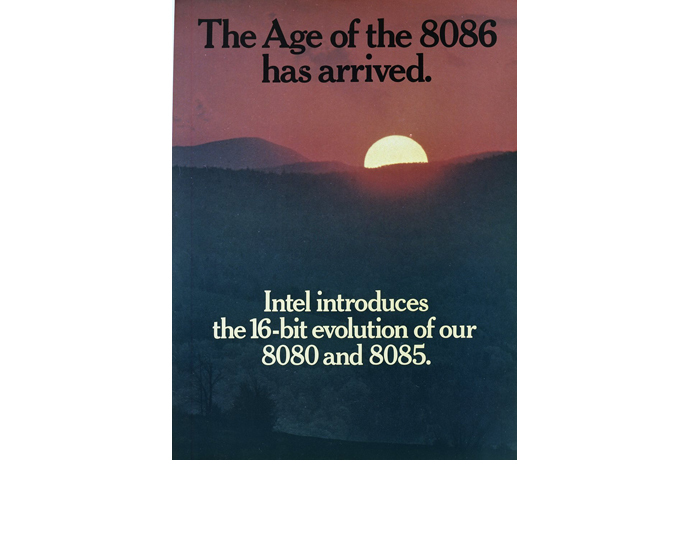 By December 1979, competing products hit the market and Intel’s 8086 sales lagged. Intel responded with Operation Crush, a pioneering solution marketing campaign that would change the way technology was marketed, used and perceived. 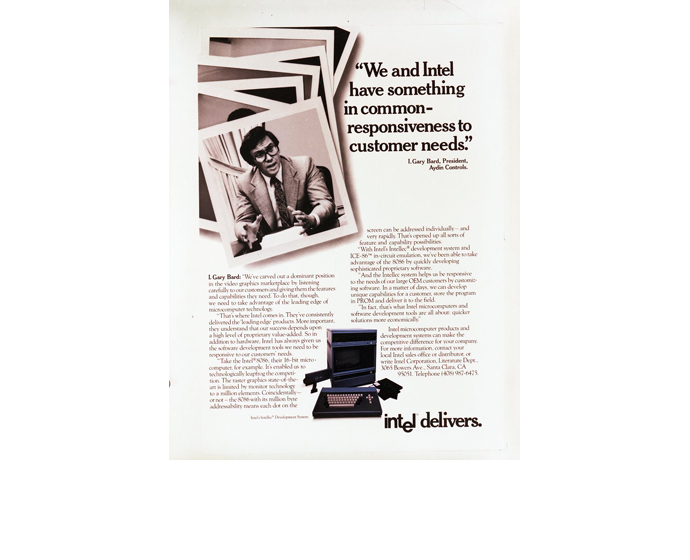 The campaign was driven by the understanding that what customers really wanted was the best possible solution to their problems with the minimum level of inconvenience — any specific technology, even one as powerful as the 8086, was just a means to a customer’s end. 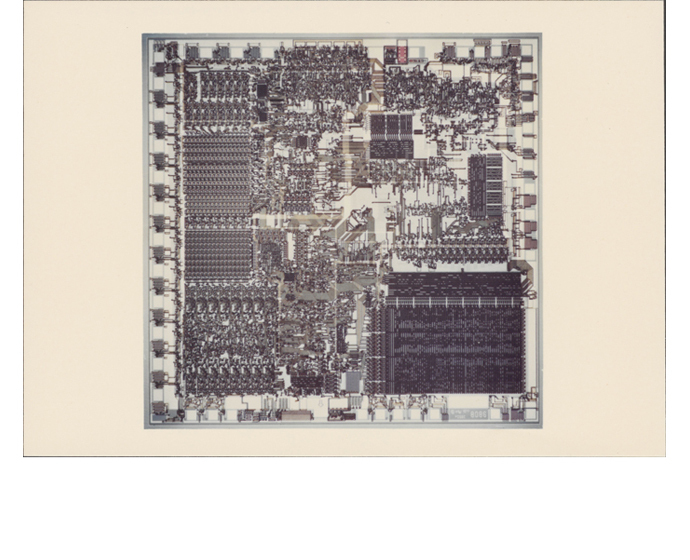 Drawn up in December 1979 and executed largely over the course of 1980, Operation Crush set out to explain the strengths of the 8086 – and Intel – in terms of what clients could do with them.